Spend $50.00 or $100.00 in my online store and get a select item FREE in the Sale-A-Bration Catalog! I am loving this beautiful Petal Palette stamp set! Actually, I am loving the entire Petal Passion Suite! And this card proves there are more uses for the Petal Passion Memories and More Card Pack than just memory keeping. The cards, $1.00 less than the Petal Passion Designer Series Paper can be used for card making as well as memory keeping. That doesn’t mean I like them more than the DSP, it just means they are versatile and can be used for both, just like the designer series paper. If I could only purchase one, I would purchase the card pack. I also love the versatility of simple black and white. That means I can customize the paper or the cards to go with whatever colors I might have on hand like I did with this card. 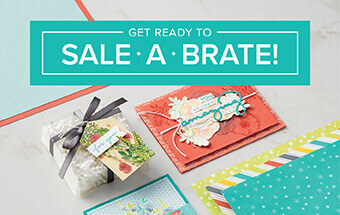 I started by selecting the polka-dotted card base from the Sale-A-Bration Tutti-Frutti Cards & Envelopes that I got FREE after placing a $50.00 order. You can get them too if you place a qualifying order in my online store. I then chose this card from the Petal Passion Memories & More Card Pack. 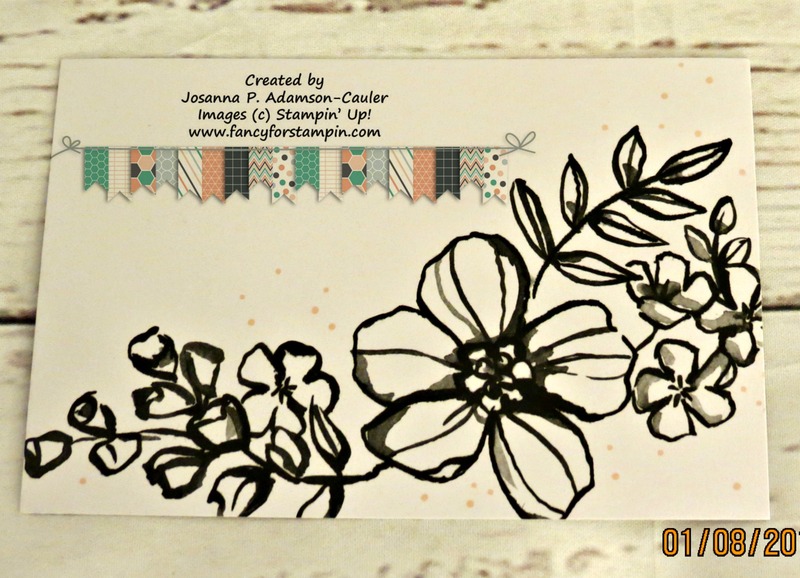 I trimmed the card down to measure 5-1/2″ x 3-3/4″ and colored it with my Stampin Blends. I also stamped a few flowers on it in Calypso Coral using the flower stamp from Petal Palette Stamp Set. I stamped off before stamping on the card because I didn’t want it to be real dark. Then I attached the card to the Pool Party card base. 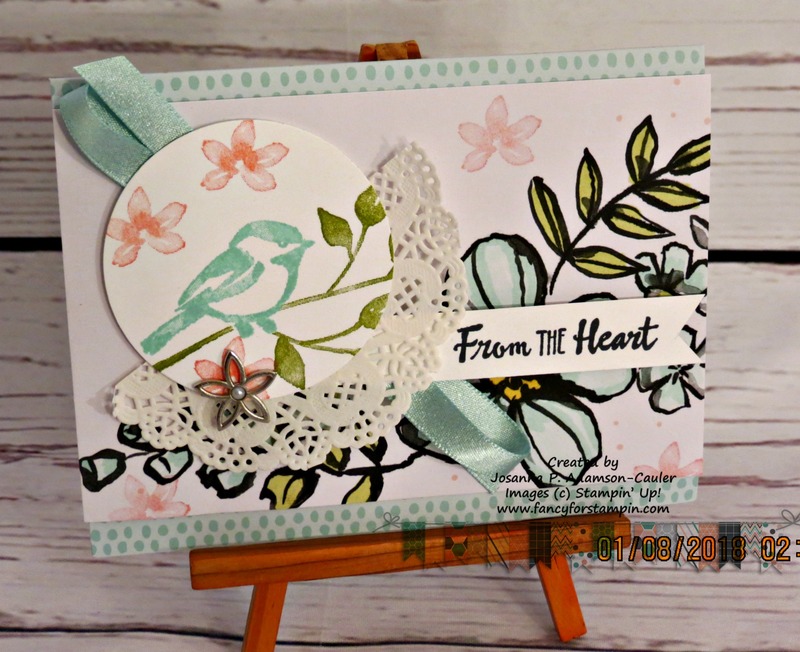 I stamped the bird and branch on a piece of Whisper White card stock and cut it out with one of the circles from the Layering Circles Framelits Dies. I used dimensionals to hold everything down on the base.